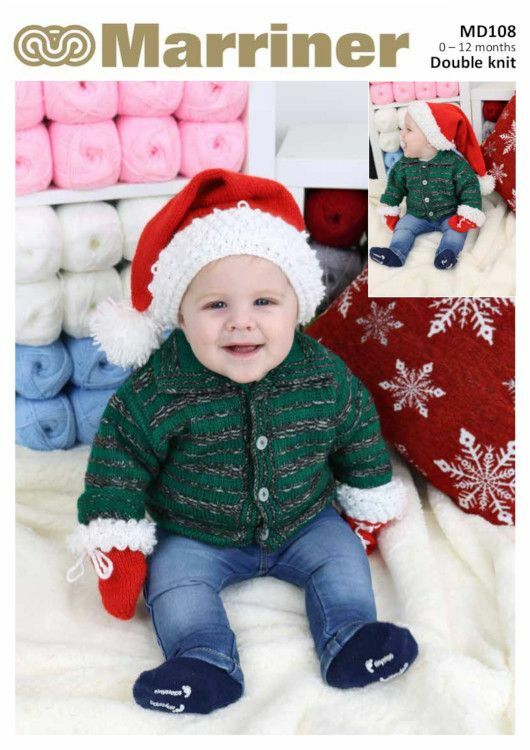 A sweet Santa baby hat & mitts set with loopy stitch trim. Made with only a small amount of DK. 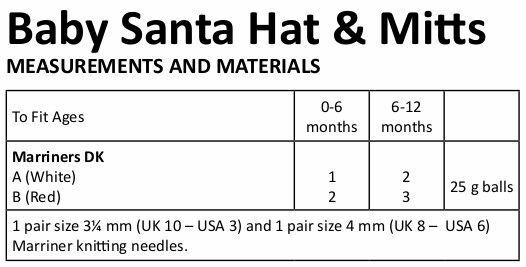 Hooks required 1 pair size 3¼ mm (UK 10 - USA 3) and 1 pair size 4 mm (UK 8 - USA 6) Marriner knitting needles.